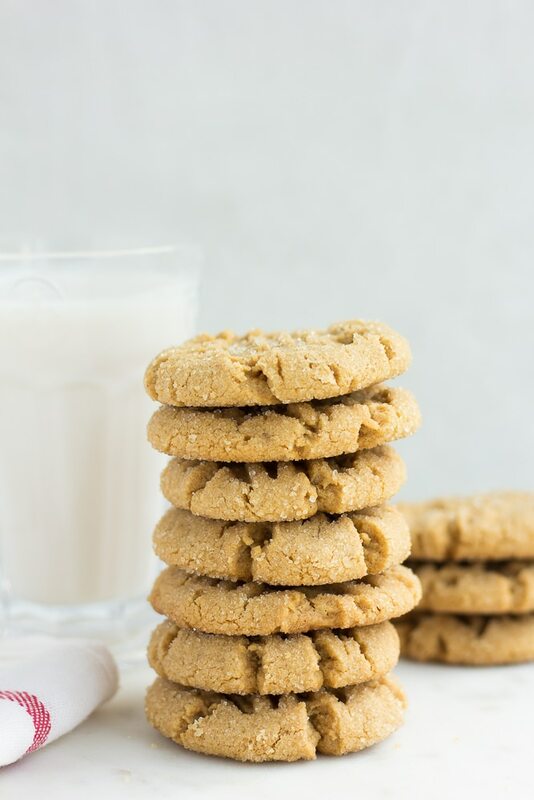 Easy to make in just 1 bowl, these Classic Vegan Peanut Butter Cookies are soft, chewy and melt in your mouth delicious! 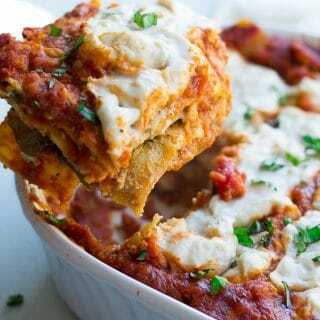 Made without any animal products and no dough chilling time required. Calling all peanut butter lovers! 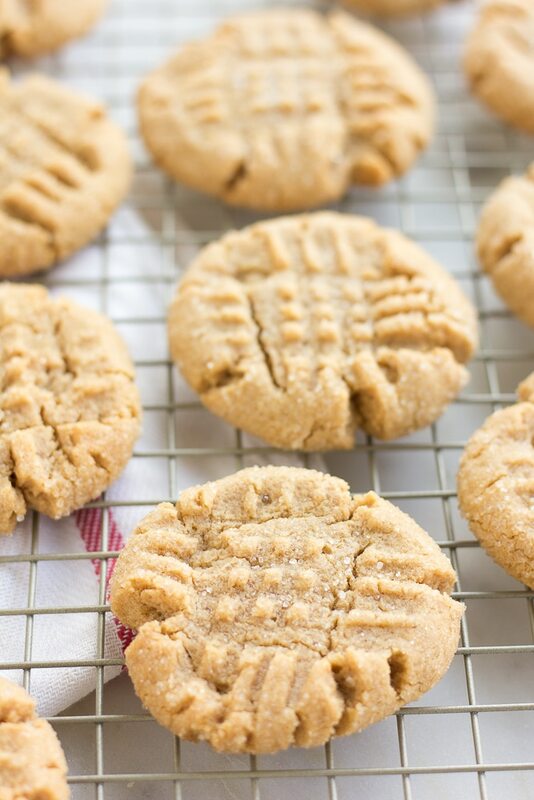 These are the best vegan peanut butter cookies, ever! They will melt in your mouth, with their soft centers and chewy edges. 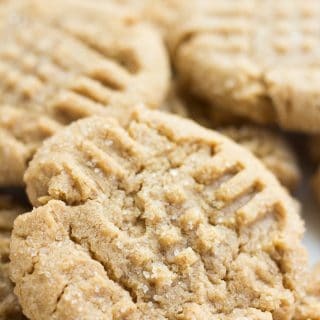 They are not crispy peanut butter cookies, though if that’s what you’re looking for, simply bake them a few extra minutes. I prefer them soft and chewy. What do I love most about these cookies? They are made in 1 bowl, with simple ingredients and you don’t need to chill the dough before baking. 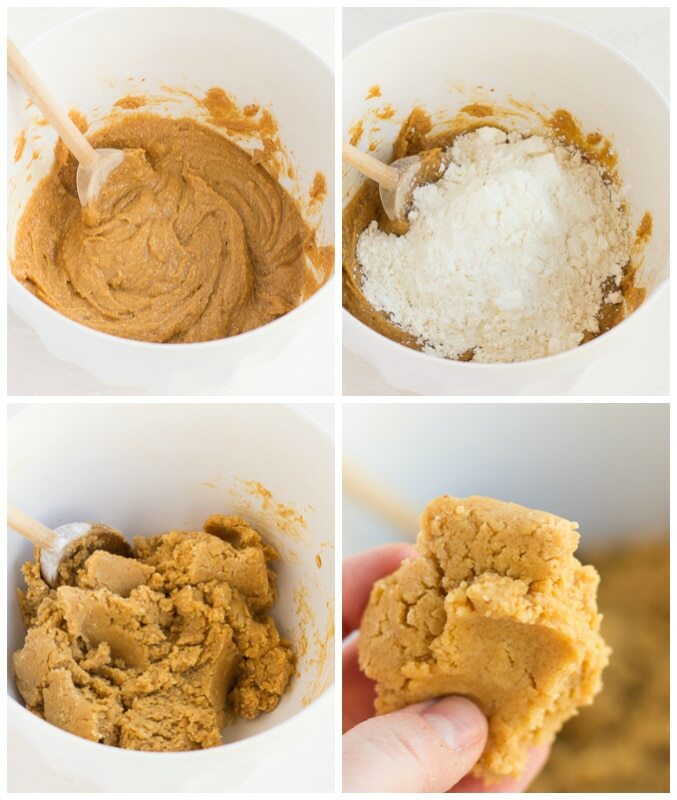 So honestly, you can have a batch of cookies done in 20 minutes! You don’t even have to make a flax egg. This is about as uncomplicated as it gets! 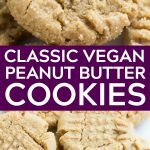 How do you make Vegan Peanut Butter Cookies? Preheat the oven to 350 degrees and line a baking sheet with parchment paper. In a large bowl, cream together the vegan butter, peanut butter and sugars. Then stir in the almond milk and vanilla until well combined. You can use a large wooden spoon or a hand mixer for this part. I just used a spoon. Now add the flour, then sprinkle the baking soda, baking powder, cornstarch and salt on top of the flour. Mix until just combined and a dough is formed. The dough will be thick, but very sticky. Roll balls of dough (about 1.5 tablespoons) and then roll in the extra sugar. This is optional, but really good! Place the balls on the baking sheet. Use a fork to make the classic criss-cross pattern, flattening the cookies somewhat. They will flatten a little more in the oven. 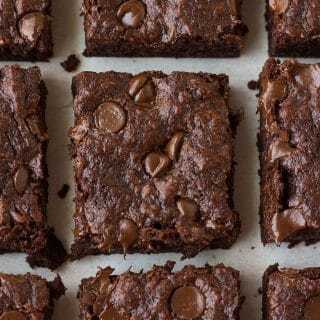 Bake for 10-12 minutes, until they look slightly golden brown. The cookies will appear underdone, and very soft in the middle, but they will continue to set and firm up as they cool. 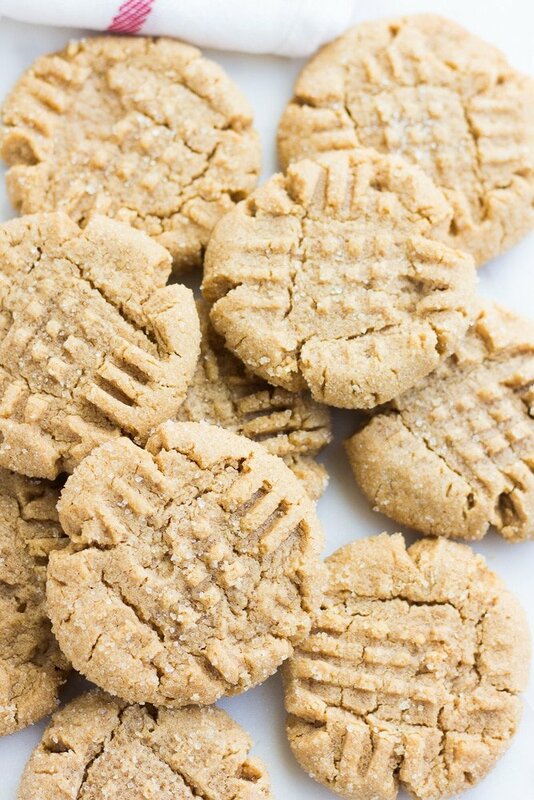 Can I use coconut oil for vegan peanut butter cookies? Yes, you can sub coconut oil for the vegan butter. I’ve tried it with both, and they work pretty interchangeably. If you absolutely can’t stand the taste of coconut, go with the vegan butter. Either way, it should be softened, but not melted. You can even sub applesauce to make them oil free. Can these cookies be made gluten free? I haven’t tried them with gluten free flour myself, but I think they would work with a gluten free flour blend like Bob’s Red Mill. They may work with oat flour as well. 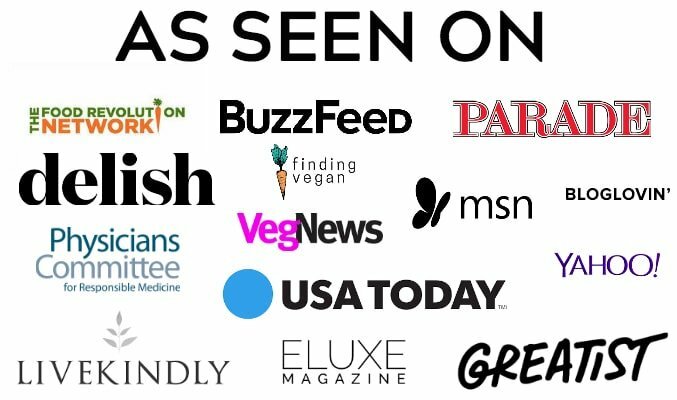 Want more vegan cookie recipes? In a large bowl, cream together the vegan butter, peanut butter and sugars. Stir in the almond milk and vanilla until well combined. 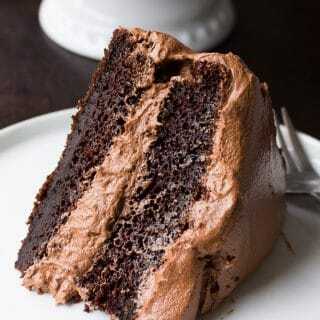 You can use a hand mixer or just a large wooden spoon. Now add the flour to the bowl, and sprinkle the baking soda, baking powder, cornstarch and salt on top of the flour. Stir until just combined and a dough is formed. The dough will be thick, yet very sticky. 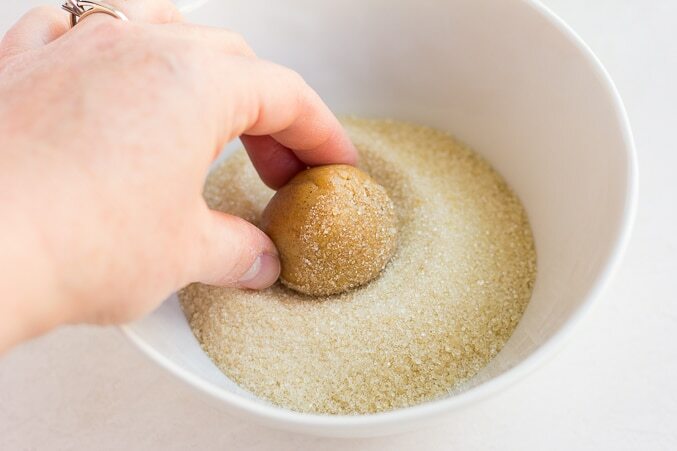 Add the extra 1/4 cup sugar to a small bowl. Roll balls of dough (about 1.5 tablespoons) and then roll in sugar. Place balls on the prepared baking sheet, then press the tops to create the classic criss-cross pattern. Bake for 10-12 minutes until the cookies are very lightly golden brown; they will appear a bit underdone and soft but they continue to set as they cool. Let the cookies cool on the baking sheet for about 5 minutes before transferring to a wire rack. These cookies will stay good at room temperature for about a week. May sub coconut oil, softened, for the vegan butter. I've tried both and either works well. For oil free, sub applesauce. 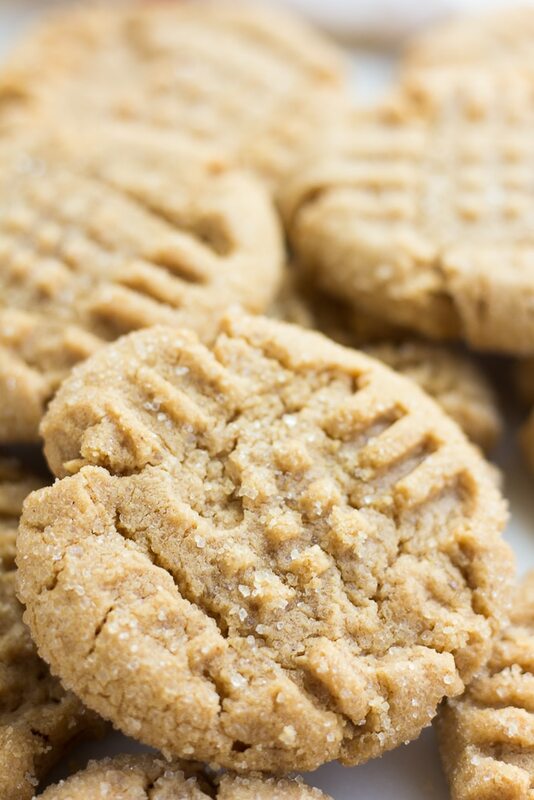 For crunchy peanut butter cookies, simply bake 2-3 minutes longer. I prefer them soft, but I know some people like crunchier cookies. You can use crunchy peanut butter if you'd like. 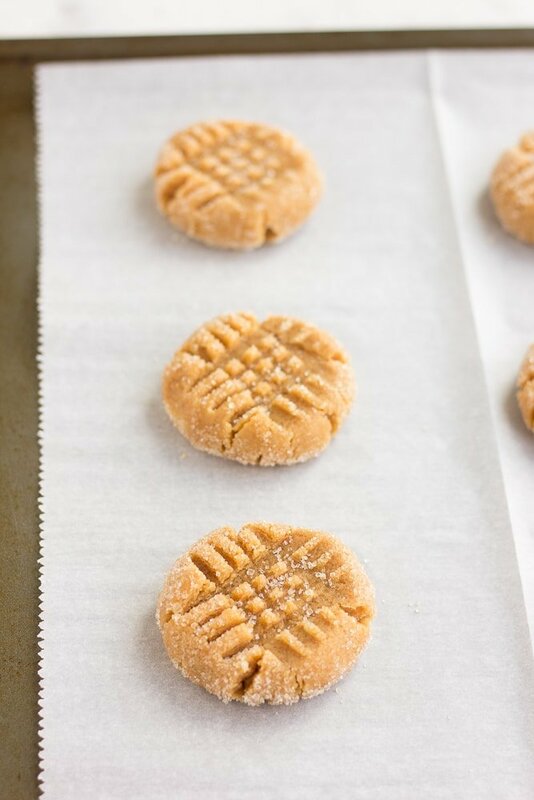 This recipe works better using regular creamy peanut butter, not the natural stuff. I like Trader Joe's creamy peanut butter because the palm oil added is sustainable.